At the end of his public ministry, Luke has Jesus wonder, “Will there be faith on Earth?” upon his return. Faith, as always, is the foundation of hope, but in our postmodern and secularized era, the more pressing question may be, “Is there hope for faith?” This essay proposes the rationale why we can have such hope and a pedagogy that, by God’s grace, may ensure as much. Though all quite logical, their symbiotic relationship prompts me to propose that there are existential times and places in life when faith depends on hope as much as vice versa. This is obviously true when we push beyond the theological concept of faith to the life of faith, that is, to faith as lived by Christians. When it comes to “being” Christian, indeed we need to have faith for hope, but oftentimes our greatest need may be to have hope for faith. Perhaps Paul had this reversal in mind when he wrote of Abraham, “Hoping against hope, be believed”; sounds like the hope came first. The poet Emily Dickinson has a similar sequence in mind when she imagined hope as a bird, “That perches in the soul, / And sings the tune – without the words,” that is, before explicit faith. Might we also hear an echo of faith needing hope in the life of Jesus himself? Toward the end of his public ministry, Luke has Jesus wonder, “When the Son of Man comes again, will he find faith on Earth?” Within the context, Jesus’s question reads like rhetorical rumination to himself. But taking it at face value, might it reflect his felt need to have hope for faith? Having traveled throughout Galilee preaching his gospel of God’s reign for some three years, and now facing into the culmination in Jerusalem, was Jesus wondering whether his efforts would remain, if his own mission would endure across time? His comment seems to legitimate the question, “Is there hope for faith?” in any time. While hope can sometimes demand priority in our personal lives, and especially as we face our crosses, there is much to suggest that our postmodern era and culture poses a particular challenge to maintain hope for faith. Social scientists generally agree that our cultural conditions do not lend much hope for faith but rather actively work against it, even posing what can look like attractive alternatives. Charles Taylor contends that instead of religious faith being the foundation of life, as it was in former times, postmodern society has embraced an “exclusive humanism,” exclusive in that it denies any need for God in order to live humanly. Instead, it emphasizes self-sufficiency without reference to transcendent sources, values, or hopes. 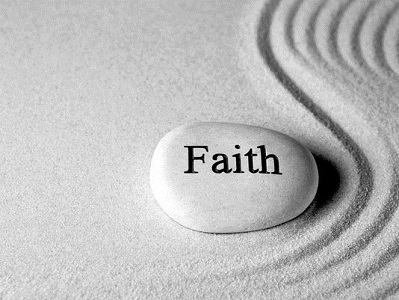 Of course, “faith is the gift of God”; it comes by grace. However rather than emphasizing it as an “infused” virtue, à la Aquinas, the reality is that faith must be nurtured, reflecting the old Catholic conviction that God’s grace typically works through human instrumentality. As the pages of history attest – and our daily lives as well – our collaboration with God’s grace of faith is far from inevitable. Indeed, history provides many examples that caution us not to be sanguine in our hope for faith. There was a large Christian community in North Africa at the time of Augustine of Hippo; it has disappeared. Much of Europe, which once had a deep Christian faith, now seems to be thoroughly secularized. Note, too, the rapid decline of church participation in what had been, until recently, deeply Catholic contexts like Quebec and Ireland. A recent report from the Pew Forum indicates that there are as many as 30 million “former” Catholics in the United States. So, how might we proactively encourage hope for faith in our secular age? From my perspective as a religious educator, I respond that much depends on what faith we teach and how we teach it – a fairly obvious proposal. To both of these questions, I will offer an equally obvious response. Using Paul’s summary, I propose that “Christ Jesus is our hope.” However, this Christ-centered emphasis represents something of a new departure in the practice of Catholic catechesis. Though our practice may lag, the centrality of Jesus Christ as our best hope for faith is now well reflected in the church’s official catechetical documents. For example, the General Directory for Catechesis summarizes well what is now the “mind of the church” on how to keep hope alive for faith in our time: it champions the centrality of Jesus Christ for both what and how to teach. What Faith? Jesus Christ As the Heart. So, what faith holds the best hope of being taught effectively by contemporary Christian religious educators? The comprehensive answer, of course, must be the full, rich legacy of spiritual wisdom that is Christian faith, its whole Story and Vision. I use Story as a metaphor for all the scriptures and traditions that make up Christian faith over time. By Vision I intend the hopes and demands, the promises and responsibilities that Christian Story means for people’s lives. TO have hope for faith, we must present the whole Christian Story and Vision with a persuasive apologetic as an extraordinarily life-giving spiritual wisdom, as the best possible “way, truth, and life” by which to live. This being said, the question remains, what will be the defining core of the Christian faith we teach? What will be “the canon within the canon” of this great faith tradition, which will constitute the heart of its hope in our postmodern world? To this, I believe, we can give only one resounding answer: Jesus Christ. Note well that the Catechism names the core “Person” as both the Jesus of history, the one “of Nazareth,” and the Christ of faith, “the only Son from the Father.” So, Christians are called to be disciples of that carpenter from Nazareth who walked the roads of Galilee, who preached the reign of God with its rule of radical love, even of enemies, who fed the hungry, cured the sick, consoled the sorrowing, and welcomed the marginalized, who claimed to be the kind of Messiah that brings liberty to captives, sight to the blind, good news to the poor, and sets free the oppressed, who presented himself as “the way, the truth, and the life,” and invited all and sundry to “come follow me.” Such is the way that the historical Jesus modeled for us. Presenting his gospel in its fullness, its joys, and challenges, is our best hope for attracting people to Christian faith, and more than ever in our time. To have hope, however, of following the way of Jesus we need him also to be the Christ of faith for us, the Son of God, the second person of the Blessed Trinity, who by his life, death, and resurrection makes it possible for disciples to so live. The paschal mystery forever mediates to us that abundant grade that grounds our hope of living as Christians. Because of his dying and rising, we can live as disciples of Jesus. In sum, to educate with hope for Christian faith, Jesus the Christ must be the defining center of what we teach. I have a friend who likes to play association of ideas at social gatherings. He claims that when played around Christian denominations, if he says, “Baptist,” people typically associate, “Bible”; when he says, “Evangelical,” people tend to say, “Jesus”; and when he says, “Catholic,” people most often say, “church.” Our best hope is to educate in faith so that the first association that Catholics will have with being Catholic is Jesus Christ. In catechetical practice, too, the centrality of Jesus and discipleship to him has prompted a more holistic sense of the faith for which we are to catechize. As the Doyle essay summarizes, for Aquinas, “Faith encounters God in the primal terms of truth,” and thus the primary function of faith is belief. Although Aquinas never intended as much, this encouraged a catechesis that presented Catholic faith simply as a list of teachings that people are called to believe. Indeed, the Catechism of the Council of Trent defined faith as “that by which we yield our unhesitating assent to whatever the authority of our Holy Mother the Church teaches us to have been revealed by God.” Thereafter, formal catechesis was crafted primarily around question-and-answer catechisms that summarized “the beliefs” and taught them to be simply memorized. How to Teach? Perhaps As Jesus Did. Now the pressing practical question is what kind of pedagogy might offer the best hope for effective education in holistic Christian faith for our postmodern context. In struggling with this question, I have learned much from the great Brazilian educator, Paulo Freire. A central theme in Freire is that education that shapes people’s lives must engage their everyday praxis by crafting curriculum around “generative themes,” in other words, around the issue of life that matter to them. I am convinced that we can detect this kind of pedagogy long before Freire in the teaching ministry of Jesus of Nazareth. He constantly engaged the everyday of people’s lives in order to teach his gospel of God’s reign, inviting the integration and integrity of a lived faith. So, might the hope engendered by placing Jesus at the center of what we teach be enhanced all the more if we also aspire to teach as Jesus did? For how he taught, we have only hints from the Gospels, which are the memories of the first Christian communities. Yet we can detect a pattern of pedagogy that is so consistently described that we can take it as reliable. Indeed, the Gospels refer to his public ministry as “teaching” some 150 times. Nicodemus had it right: “We know you are a teacher who has come from God.” By way of Jesus’s overall approach, we can readily recognize: a) his inclusive outreach and welcome toward all – men, women, and children – including ordinary people, farmers, shepherds, merchants, homemakers, fishermen, with special outreach to the marginalized; b) his respect for the learners – empowering people to be agents of their own faith (for example, “you are the light of the world”; and c) his whole life was a parable of compassion for all. How hopeful our catechesis will be if we can imitate Jesus’s inclusion, empowerment, and compassion. Beginning with People’s Lives: First, Jesus most often began a teaching event by inviting people to look at their present lives, at their reality in the world. He turned his listeners to their own experiences, to their feelings, thoughts, and values, to creation around them, to the beliefs, practices, attitudes, and mores of their religious tradition and culture, to their work and social arrangements, to their joys and sorrows, fears and hopes, sins and goodness – to life. His favorite teaching method in this regard was through use of parables in Matthew, Mark, and Luke, and through allegories (for example, the Good Shepherd or “signs” (for example, the wedding at Cana) in John’s Gospel. All of these begin with symbols of everyday life through which people could recognize their own lives and stories. His pedagogy was to reach into the very souls of his listeners in order to actively engage them. For example, Jesus’s parables were engaging stories – as good stories always are – through which people could recognize some aspect of their own experience and later see for themselves how to appropriate his teaching back to their everyday lives. When he taught the parable of the sower, I imagine he was talking to farmers; the parable of fine pearls was likely to pearl merchants; the lost coin to a group of women, perhaps gathered at the village well; and so on. Jesus engaged people’s interests and made them active participants in the teaching/learning dynamic by raising up real life themes and issues of concern. Encouraging People’s Own Reflections: Second, Jesus invited people to think about their lives in a whole new way. He wanted his listeners to recognize that great things like the reign of God and their own eternal destiny were being negotiated in the ordinary and everyday of life, even while sorting fish. He wanted them to reflect on the falsehood of hypocrisy, the emptiness of ritual detached from doing God’s will, the faith contradiction in hating any group or class, the unconditional love of God regardless of one’s worthiness. Again, Jesus’s commitment to encourage people’s own reflection was epitomized in his use of parables. Indeed, his parables often turned people’s perspectives upside down. None of Jesus’s first hearers would have expected the Samaritan to be neighbor, nor the father to welcome home the prodigal, nor the prostitutes and tax collectors to enter the reign of God before the religious leaders. Such reversals were Jesus’s way of getting people to reflect critically, perhaps to change their minds and hearts, to see their lives and possibilities with fresh hope and in a whole new way. Freire would say that his teaching style invited people to a critical consciousness, to reflect on and question their own reality and to imagine how to live more faithfully as people of God. Likewise, Jesus taught for faith in ways that were meaningful to people’s lives. Notice that so many of his statements inviting faith in himself have a follow-up that lends hope. So, “I am the light of the world” is immediately followed by, “Whoever flows me will have the light of life.” He presented himself as the good shepherd and this means that we can “have life, and have it abundantly.” Even as he says, “I am the living bread that came down from Heaven,” he adds that this is all given “for the life of the world.” Faith in Jesus calls disciples to a lived and living faith that is wonderfully hopeful for ourselves and for society. Inviting People to See for Themselves: Fourth, Jesus taught in a way that invited people to recognize for themselves his spiritual wisdom for life, to take to heart and personally embrace the truth he was teaching. Jesus often blest those “with the eyes to see and the ears to hear.” Referring surely to more than physical seeing and hearing, he wanted people to open their hearts and make their own what he was teaching. He enabled the Samaritan woman to come to see for herself: “Could this be the Messiah?” The same was true for her friends; they, too, came to recognize him for themselves: “It is no longer because of what you said that we believe, for we have heard for ourselves and we know that this is truly the Savior of the world.” Of course, the greatest example of Jesus’s pedagogy for people to “see for themselves” is the story of the risen Christ and the two disciples on the road to Emmaus. Indeed, that story perfectly reflects Jesus’s whole life to faith to life approach. Encouraging Their Decision for Lived Faith: Fifth, Jesus’s invitation to discipleship – to lived faith – was ever on offer. The intended outcome of his entire public ministry was that people might decide to live for the reign of God – the ultimate symbol of hope – to follow his way as disciples. Jesus was adamant that to belong to God’s reign, people cannot simply confess faith with their lips, saying, “Lord, Lord,” but must “do the will of my Father in Heaven.” That surely requires decision. Jesus even went so far as to say, “Whoever does the will of God is my brother and sister and mother.” From his opening statement inviting people to “repent and believe in the Gospel” to his farewell discourse, “Live on my love, keep my commandments,” Jesus invited people to decision for lived faith. In summary, Jesus engaged people’s own lives and encouraged their reflections on them. He preached with authority the old-and-new faith that was his gospel. He invited would-be disciples to see for themselves how to integrate “life” and “faith” and to make decision for lived, living, and life-giving faith. Jesus’s pedagogy was one of bringing life to faith to life. Our best hope for faith in our time is to do likewise.